ABB Bailey NET 90 INFI 90 Equipment Specialists | ICSS Inc.
Integral Control Systems Services, Inc.
ABB Bailey NETWORK 90, INFI 90, Harmony and systems integration specialists. Founded in 1991, Ohio-based Integral Control System Services, Inc. successfully provides industrial control systems integration and a wide base of value-added technical support services to our clients. In addition to systems integration, we provide a full range of technical support services, including engineering, repairs, on-site support and equipment procurement. 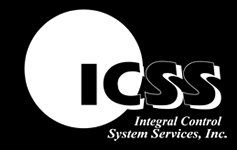 As an independent system integrator with multi-technology experience, ICSS can provide the correct array of equipment to meet your plant requirements on time and budget, with guaranteed compatibility, utilizing state-of-the-art technologies. Our multidiscipline staff of Electrical, Chemical, Mechanical, Control System Engineers and Technicians can develop and implement solutions for your new, existing or legacy control system. By utilizing our experienced MRO business unit, the procurement of OEM replacement products, parts and repairs covering all manufacturers' equipment becomes easy, assuring you additional time to focus on your core business. We are very experienced on ABB Bailey NETWORK 90, INFI 90 and Harmony control systems, maintaining a substantial stock of NET 90 DCS equipment. Our Module Repair business unit can effectively fulfill your PCU hardware and console repair needs. You will realize the value of our experienced Field Service Engineers and Technicians as they provide support covering start-up, system loop tuning, troubleshooting, calibration, preventative maintenance, and installation supervision. Each of our Field Service Engineers understands the complete control system, the DCS hardware and field devices, as well as the control strategy. A strong knowledge of these components benefits you with quality support. Our considerable experience assures you that your project will be successfully completed without unnecessary delays. 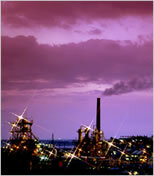 Are your considering upgrading your existing ABB Bailey NETWORK 90, or INFI 90 Control System to a new system? We can save you substantial money!